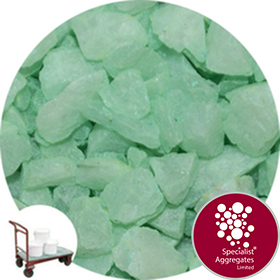 Jade coloured crystal formulated from selected angular quartz to provide crisp cool colour. Specifically designed for set dressing, decorative topping to ornamental and foliage plants in offices, hotel and restaurant interiors, value add merchandising and crafts. 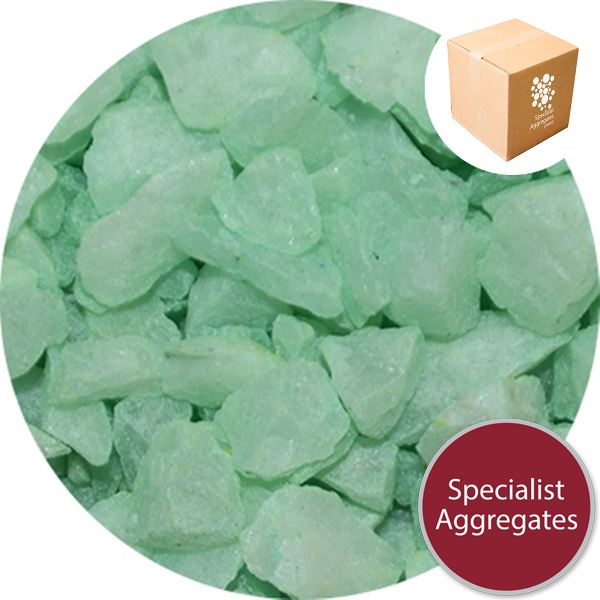 Jade coloured crystal formulated from selected angular quartz to provide crisp cool colour .Specifically designed for set dressing, decorative topping to ornamental and foliage plants in offices, hotel and restaurant interiors, value add merchandising and crafts. Whilst we describe the product as colourfast, as with any coloured surface, when used externally fading will occur through the effects of weathering and sunlight. 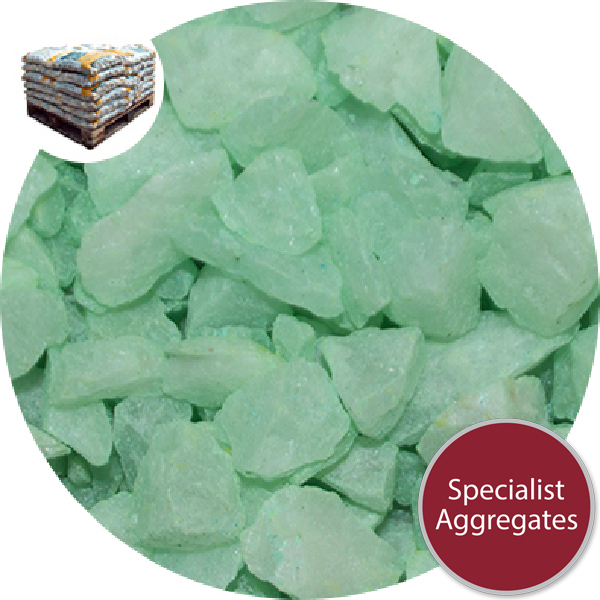 This product is supplied dry. 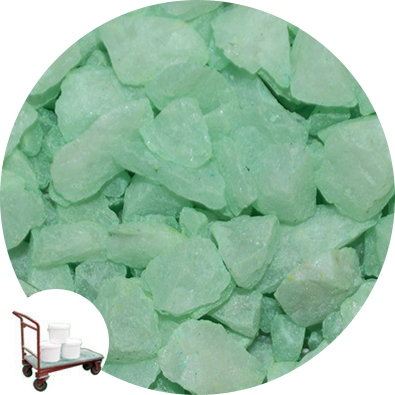 Produced from natural crystal obtained from licensed and regulated source and coloured using a polyurethane varnish and industry standard pigments. Packaging has been sourced with due environmental consideration, in turn please responsibly and safely discard or recycle. Safety Information: Not suitable for children under 36 months as this product may present a choking hazard.